While ecommerce sales are growing much faster than offline sales, all physical stores still sell much more than online stores. The shares of ecommerce sales by the end of 2017 were about 10% in the USA and about 8.1% in Canada. The ecommerce penetration varies from country to country within 2% -15% range. Because of the size of the offline market, many pure-play digital retailers opened or acquired physical stores. We have recently learned about some global and local examples. The ecommerce icon giant Amazon acquired Whole Foods and also opened three Amazon Go stores in Seattle. Canada has another success story – Snuggle Bugz. The founders started Snuggle Bugz as an eCommerce site that sells baby products. Soon they opened the first small physical store in Burlington Ontario. By 2018 Snuggle Bugz already had 10 location across Ontario. The chain was able to successfully compete with Amazon and the US chain Buy Buy Baby that recently entered the Canadian market. For brick-and-mortar retailers the future is online. For online retailers the future is offline. Why retailer must bridge the gap between online and offline channels? Why must retailers integrate their offline and online channels? Physical stores are vital as showrooms of your products and brand experience. It is hard to replace factors like the product touch, smells, sounds, and human interaction in the online-only store. Local customers on average are more loyal with higher customer lifetime value. Your store will be able to provide the same-day or next business day delivery to your local customers at a lower cost than your remote competitors. It is easy to offer Click and collect methods for customers who are in walking or driving distance from your store. When you introduce new products then face to face interaction with your customers would provide you with unique insights. Online advertising with Google local inventory campaigns is much more cost-effective than generic online advertising. In-store traffic conversion usually is higher than online, and your online-to-offline marketing campaign could deliver a better return on your advertising investment. How can a small retail business manage inventory across online and offline channels? One of the most challenging parts of the integration is cross-channel inventory management. You as a retailer have to connect your POS and the ecommerce store to have a single inventory view in real time. While larger pure-play online retailers usually have a strong in-house technology team to develop necessary integrations, small and medium traditional retailers may not have such capabilities in-house. In this article, I will focus on one solution that I believe provides best-of-breed capabilities for midsize retailers both online and offline. 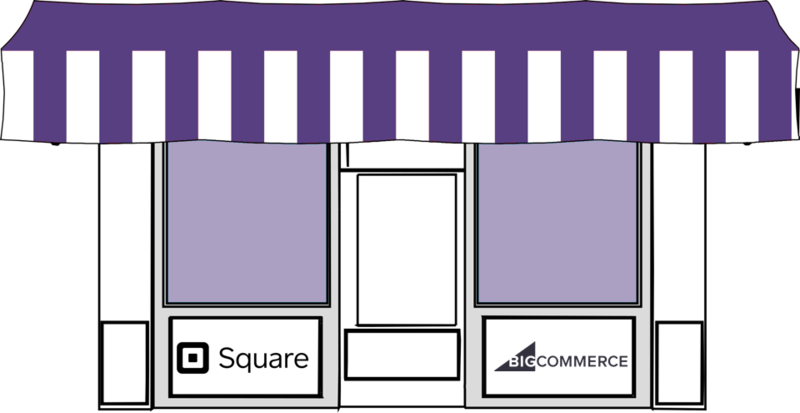 The solution combines two platforms Square POS and BigCommerce. These platforms offer the best features and value for medium and growing brands. BigCommerce integration with Square makes it easy for both brick-and-mortar and ecommerce merchants to manage offline and online sales. By enabling the Square payment gateway, you can process payments for your BigCommerce orders using the same Square account you use to accept payments for POS transactions and be able to easily track transactions and orders from both in your Square Dashboard. Accounts – you need to have an owner account with BigCommerce and an active Square POS account. 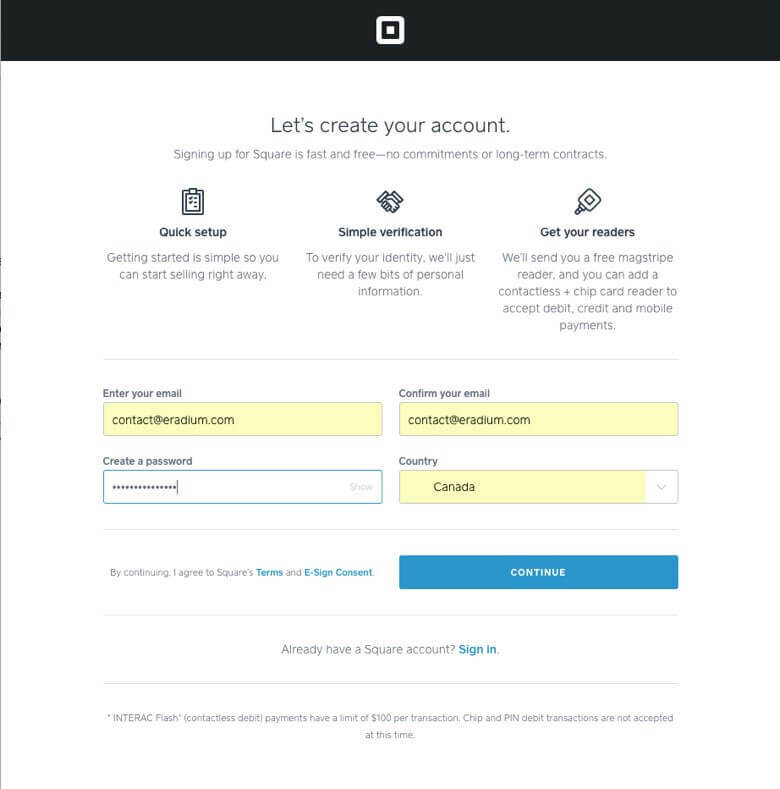 (see more about how to log into your Square account or to create a new account below). Currency — You may connect your BigCommerce with Square POS if your store uses one of the following currencies as the default store currency: CAD, EUR, GBP, NZD, AUD, and USD. Product Names — Before starting, make sure none of the products already in your BigCommerce store have the same name as the products you’re importing from Square. Having products with duplicate names may result in product information coming over in a manner you don’t intend. Variation Names — Variation names are required in Square in order to import SKUs into BigCommerce. Images — Square recommends JPG/JPEG or PNG format for your images. Log in to your BigCommerce store admin dashboard. If you have more than one location with Square, you’ll be asked to pick which location you want to connect with BigCommerce. Only one location can be linked per Square account. If you need to select another location, you’ll need to disconnect your account, then reconnect. Click Continue to allow BigCommerce to access your Square data. 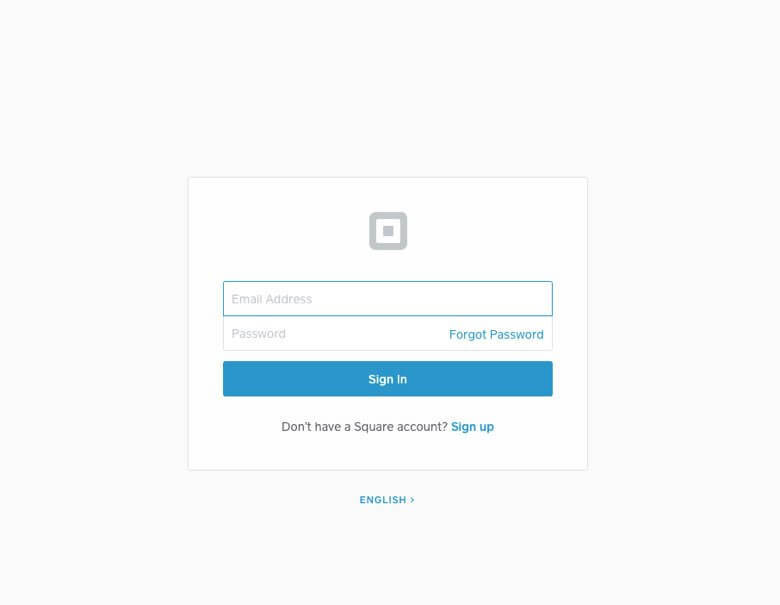 Your Square account is now linked to BigCommerce. Click Import/Export. You’ll be asked whether you want to do an Import (products from Square will be added to BigCommerce) or an Export (products from BigCommerce will be added to Square). Select one, then click Submit to begin the sync. The import or export will begin. Depending on how many products you have this may take a while. Feel free to navigate away; the process will keep running in the background. When it’s done, you’ll see a success message along with the number of products that were created and updated. If you’re importing into BigCommerce from Square, go to Products › Product Categories. Check to see if you have a category called Uncategorized Square Items. If so, follow the instructions below. Once your products have been imported/exported, the status will change to Active to indicate stock updates between BigCommerce and Square are being processed in real time. When you add a new product (either in BigCommerce or in Square), you’ll click the blue Import/Export button to synchronize your BigCommerce and Square catalogs. While the connection is active, stock levels will automatically update in both places. Order-based stock level changes in BigCommerce will update Square’s stock levels in real-time. Order-based stock level changes in Square will update BigCommerce’s stock levels in real-time. Manually updating stock levels in BigCommerce will update Square’s stock levels in real-time. Manually updating stock levels in Square will not update BigCommerce’s stock levels. Purchase Orders in Square will not update BigCommerce’s stock levels. Display Style for options is not a configurable setting in Square, so imported multiple choice options will default to radio button list style. This can be changed post-import if needed. BigCommerce will automatically create a new option set (named after the product) for products with options imported from Square. For the majority of small and medium retailers offering both online and offline channels to their customers is the only long-term survival strategy. The exact share of each channel depends on many factors. Some retailers may make most of their sales in the physical store, on other hand ecommerce retailers may only sell mostly online and have only a pop-up store or sell at a trade show. Good news for small and medium retailers that there are a few solutions that provide an easy path to connect online and offline systems and enable omnichannel commerce. One of the most versatile solutions is the combination of BigCommerce and Square platforms, and it is an excellent choice for small and medium-size retailers.